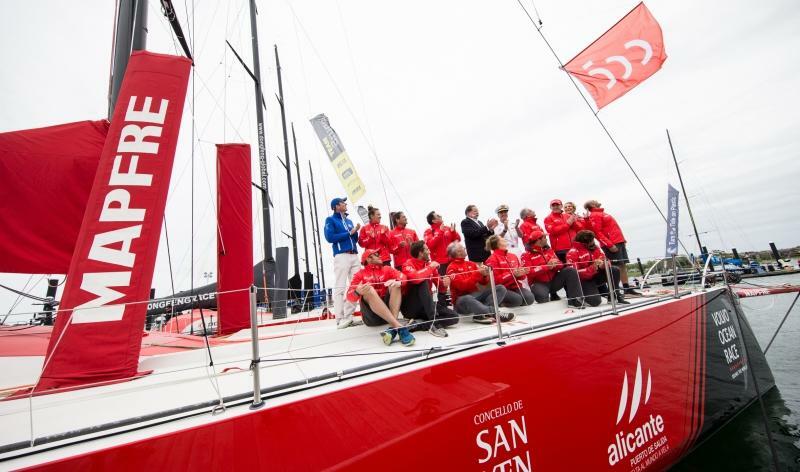 On Sunday, the fleet participating in the Volvo Ocean Race embarked upon the 9th stage from the U.S. port toward Wales. The Volvo Ocean Race fleet prepared to return to the waters to contest the ninth stage, a hard and long test which will be crucial for the competing boats, as it is worth double the remaining three stages. The MAPFRE team is up for the challenge after the historic victory picked two days ago in reaching Newport and retaking the lead in the general standings of the Volvo Ocean race. 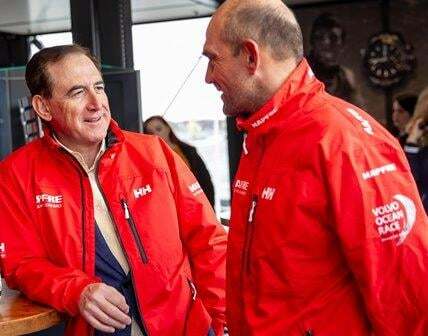 In a speech to representatives of the Ministry of Defense, the Mayor of Newport, the Chairman of the VOR and the Manager of the Spanish team, the Chairman and CEO of MAPFRE, Antonio Huertas, expressed his pride in terms of what this great voyage five hundred years ago represents, as a testament to the concept of globality and commitment shared and exhibited worldwide by MAPFRE’s great team. Follow the VOR live here! STAGE 9: Newport – Cardiff >> Start: May 20, 2018. STAGE 10: Cardiff – Gothenburg > Start: June 10, 2018. STAGE 11: Gothenburg – The Hague > Start: June 21, 2018.